Held over the Annual Bank Holiday Weekend and for many years now the same weekend as the Llandudno Victorian Extravaganza where the streets are filled with Vintage, Victorian and Present Day Fair Ground Rides, Steam Engines, Street Parades, Street Entertainers, Victorian Window Displays & Victorian Dressed Public. The Towns and Fields Activities are linked together by a free shuttle bus service provided by some of the vintage buses attending the Transport Festival. Exhibits Large and Small Poured in to Bodafon Showground from Wednesday prior to the Event filling up the Bodafon Field Show ground once again filling to capacity for an excellent start on Saturday Morning. 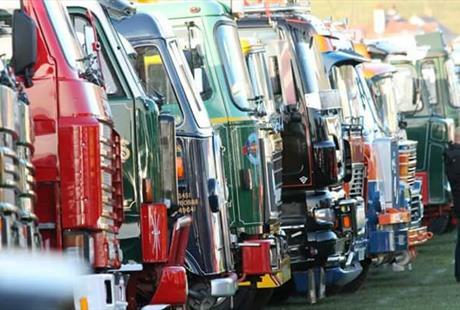 There were plenty of fine examples this year ranging from Classic Pedal Cycles to Huge Modern Heavy Haulage Equipment. Approximately 1000+ Exhibits to include Lorries, Buses, Tractors, Motorbikes, Classic Cars, Static Barn Engines, Military Equipment & Emergency Equipment from all eras put on a fine display generating a huge amount of interest over the 3 days with many who came took advantage of the fine weather to venture out with us on the Saturday Evening Road Run to and around the walled town of Conwy which nestles under the shadow of the Medieval Glorious Conwy Castle bringing out the locals who lined the streets of the route through the town which in turn encouraged some fabulous photographic opportunity’s of these fine examples of classic Vehicles doing what they enjoy best they then headed back to the showground to prepare for Sundays Public and their next Road Run on Sunday Evening through our host town The Queen of North Wales Resorts Llandudno where the field emptied yet again with once again a strong Vehicle presence even from some of our Steam Engine friends attending the town for the weekend. Where they slowly went winding up through the town passing the towns Majestic Grand Hotel & Historic Llandudno Pier which guards the beautiful bay of the town to gently follow around the delicate Marine Drive which circles at the foot of the Llandudno Great Orme again bringing locals & exhibitors out in their masses giving photographic opportunities incorporating the beautiful views with classic exhibits again then back to the field for the evening . These road runs are carefully Orchestrated and Implemented by Daniel Ricketts and his team of Marshalls lining the routes so each & every one knows exactly where to go there and back and not getting lost.